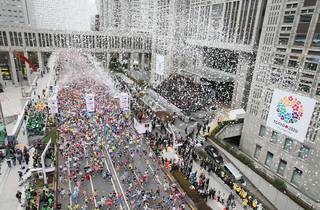 The Tokyo Marathon returns with added prestige this weekend, having been inducted into the World Marathon Majors series, alongside London, Boston, New York, Berlin and Chicago. Expect overseas runners like Kenya's Dennis Kimetto and James Kwambai and Ethiopia's Dino Sefir to dominate the men's race, especially now that Japan's best hope, Arata Fujiwara, has dropped out. In the women's race, watch out for indomitable Kazhakstan-born runner Irina Mikitenko, still a top-level athlete at the age of 40 – though one who's likely to face tough competition from the likes of Ethiopia's Bezunesh Bekele and Aberu Kebede. 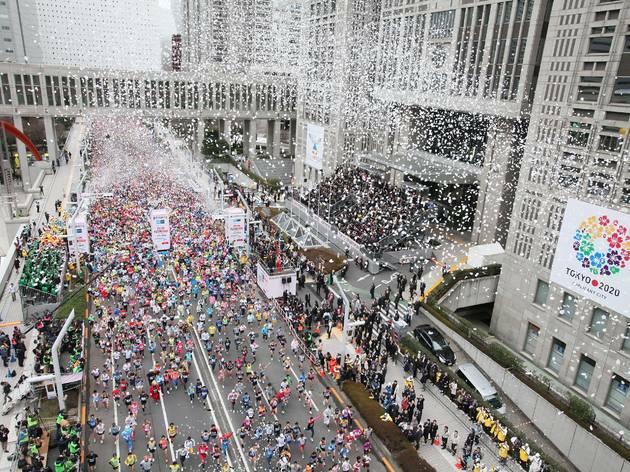 As ever, the race starts at the Tokyo Metropolitan Government Building in Shinjuku, heading south to Shinagawa and then up to Asakusa before finishing at Tokyo Big Sight in Odaiba. See the course map on the official website for details.